BELLEVUE, N.J. — Former Giants QB, Phil Simms, was the guest speaker at the Mike Geltrude Foundation’s Ninth Annual Benefit at Nanina’s in the Park in Belleville. Based in Nutley, the Foundation raises awareness and funds to fight melanoma. Simms also added his signature to a wine bottle with celebrity autographs to be auctioned for the cause. The event also included Derek DiGregorio’s acceptance of the foundation’s 2015 Inspiration Award. The Princeton High School junior has a rare degenerative disease of the immune and neurological systems. Source: Northjersey.com. 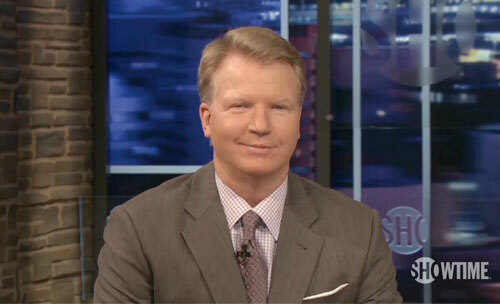 Phil Simms is a former New York Giants quarterback and currently a sports broadcaster for CBS. After a standout career at Morehead State University, Simms was drafted in the first round by the New York Giants with the number seven selection overall in the 1979 NFL Draft. On January 25, 1987, the Giants met the Denver Broncos in Super Bowl XXI. In the biggest game of his life, Simms had one of the finest performances in Super Bowl history. Sports Speakers 360 is a booking agent for motivational sports speakers. If you would like to book pro athletes or NFL stars like Phil Simms for a speaking engagement or appearance, please contact Phil Simms booking agent for speaker fee information. For details on how to hire N.Y. Giants players for appearances, call 1.855.303.5450.